VIPAccessEXCLUSIVE: LJ Benet Interview With Alexisjoyvipaccess At George Dalton’s Music Video Release Party! From our TV screens to performing on stage – the remarkable LJ Benet always does a sensational job in everything he does! Fans know the wonderful LJ Benet for his terrific role as “Karl Fink” in Disney Channel’s highly-acclaimed, hit TV show, “Dog With A Blog”. LJ Benet, or shall I say, “Karl Fink” has many exciting episodes in Disney Channel’s “Dog With A Blog” including when he reveals that he knows Stan’s secret (oh, my!) and even teaches Avery some dance lessons before she goes to the school dance. The wonderful LJ Benet is also very passionate about his music and continues to prove himself to be such a stupendous singer with his brilliant covers including “Take Me To Church”, “Stay With Me” and more. A phenomenal singer and an outstanding actor – there is no wonder as to why LJ Benet has established himself as an absolute sensation! 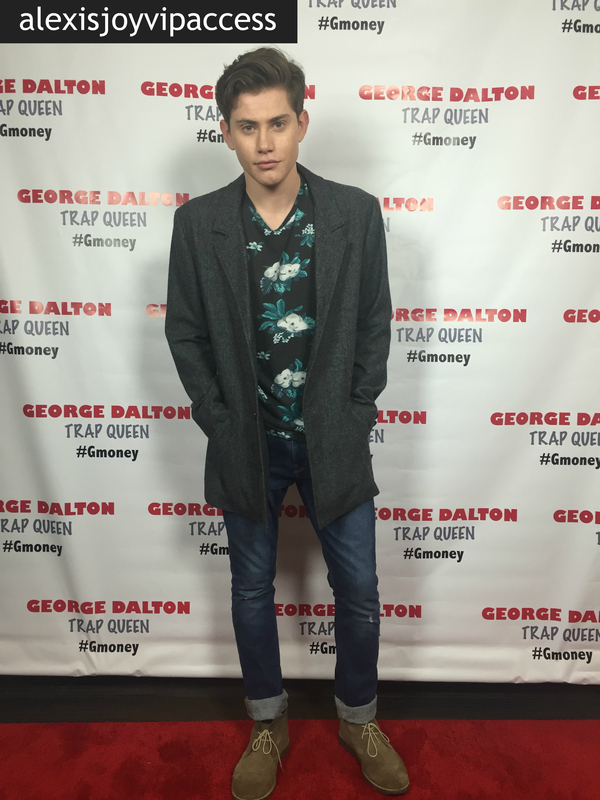 I, Alexisjoyvipaccess had an excellent time covering George Dalton’s “Trap Queen” music video release party and had a great time interviewing the magnificent and incredibly talented, LJ Benet at the event. The phenomenal LJ Benet dishes exclusively to Alexisjoyvipaccess all about what he was looking forward to the most at the event, his upcoming, exciting trip all around Europe and so much more only in our VIPAccessEXCLUSIVE interview! The amazing LJ Benet even sends out a terrific and helpful message to all his fans – hear what the fantastic LJ Benet had to say in our VIPAccessEXCLUSIVE interview. Thanks for the great interview, LJ! Check out my VIPAccessEXCLUSIVE interview with the awesome LJ Benet at George Dalton’s “Trap Queen” music video release party below! Also, stay tuned for another interview LJ Benet and I did where we go more in depth about his acting, music and we even do a fun speed round! Previous VIPAccessEXCLUSIVE: George Dalton Interview With Alexisjoyvipaccess At His “Trap Queen” Music Video Release Party! Next VIPAccessEXCLUSIVE: Rio Mangini Interview With Alexisjoyvipaccess At George Dalton’s “Trap Queen” Music Video Release Party!